I and my daughter who is almost 3 was super excited to receive VTech's new V.Reader for review. We had a lot of fun with this new educational toy. We were already VTech fans anyway and this toy got a 2 thumbs up from my daughter. My daughter is just getting to the stage where she loves stories and this is perfect for her. She reads along with the V.Reader. She controls the page turns. It is like the Kindle only for kids. 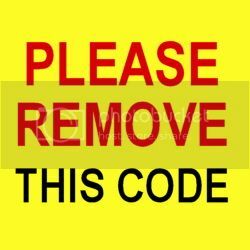 You can also click on the word on the V.Reader and get the definition of it. You can also use the V.Reader for playing games. I love the educational benefits this product has to offer. Any child would have fun with the V.Reader. Interactive Stories with Touch Screen Play - This is a great way to keep a child's interest. They can control the page turns and they can click on words. This can be a lot of fun to a child. Great Stories Featuring your Child's Favorite Characters - This also keeps a child's interest alive. Imagine your child learning with the help of their favorite character thanks to the V.Reader. Storytelling Comes Alive with Animation and Sounds - This helps make the stories interesting and fun! This is a must have feature for kids. It makes them feel like they are a part of the story. Ideal for Kids who are Learning to Read - Like my daughter, kids can read along with the V.Reader and increase their reading skills. It also helps with telling kids the definitions of words. This can be a great learning asset for kids. Downloadable Stories - This will make is easy for kids to find new interesting stories they can enjoy and download them immediately to read. This will make reading more fun and interesting. Now you don't have to order then wait for stories to come in the mail. How awesome does this sound! The new V.Reader from VTech is an awesome tool for parents who are interested in helping their children learn how to read. Plus it is fun for kids to. You can even use it for educational games. This would be perfect for road trips or just because. It would even make an awesome gift. The holidays are coming up! That is just a thought! The V.Reader from VTech is for ages 3-7 but even I had fun playing with it. The V.Reader is priced at $59.99. The V.Reader will be available at Target stores and online here. 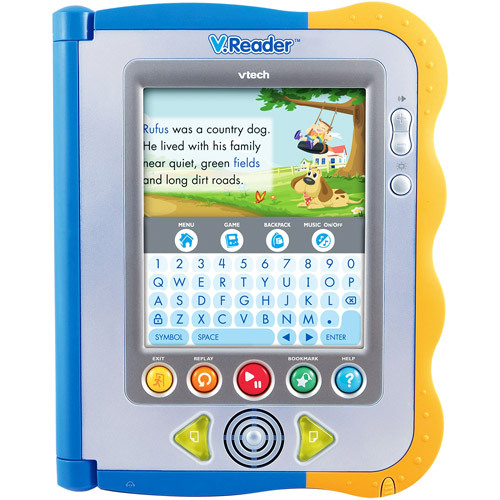 Overall I and my daughter were very pleased with the V.Reader we got from VTech. She uses it over and over again wanting to read. I would recommend this product to my friends and family. 1 Lucky Mommy Blessings in Small Bundles reader will win a V.Reader from VTech for their little one. To Enter go to VTech and tell me a product not listed above you would love to have. 3 Entries: Sign up to VTech's newsletter. 3 Entries: Scroll through the Animated Stories on VTech and tell me which one you would like for your child. 1 Entry: Follow VTech on Twitter. 1 Entry: Fan VTech on Facebook. 3 Entries: Blog about this contest with a link back to our blog AND a link to VTech(Leave a link back to your post in your comment). 10 Entries: Make a purchase from VTech. Good luck! Contest ends on July 15th at midnight EST. Winner will be announced that weekend. Winner will be chosen through random.org. I didn't see my first entry so I'm trying again. I like the toy Stoy 3. I like the Toy Story 3. I did comment in the Dish Review. I did vote in the Top 100 Mommy blogs, your votes are 6 in 1 out. I enter the Silly Mama Quilts giveaway. I did buy the Tote 'n Go Laptop from Vtech, Can I send you a picture of my son playing with it? I'd love to have the Tote 'n Go Laptop Plus for my daughter. Maybe it would keep her from playing with my laptop. I signed up for the VTech newsletter. I would like Disney Princess Magic Wand Laptop™. I would love to have their Kidizoom Plus camera. #3, I am a subscriber to VTech's newsletter. #2, I am a subscriber to VTech's newsletter. #1, I am a subscriber to VTech's newsletter. I folllow through Network Blogs. I follow publicly your blog through Google Friend Connect. I like the VTech MobiGo. My pre-school aged girls would love the MobiGo, and my littlest would love the 3-in-1 Smart Wheels. I'm a vtech facebook fan! My girls would love the Disney Princesses and Olivia Animated stories! I would like to have the Kidizoom. I would like to get the Vtech MobiGo with the Shrek game for my daughter . I'd like the Tote 'n Go Laptop . My kids would like the VTech Kidizoom Camera. Wow, I'd really would love to win the V-Tech reader for one of my grandchildren. I like the V-tech Jungle Gym. Age Group: 3 - 8 Years for my little one. Thanks for the shot at winning. I'm also liking the idea of the MobiGo. I think the interactivity of both that and the V.Reader would appeal to my nephew and help him to grasp reading and other fundamentals. Thanks so much for the chance to win this! I am a Google Friend Connect follower of this blog, Thank you! I'm also a follower of your Photography blog! Also following your Recipe blog! Thanks! I like VTech Toys on Facebook (My name is Amanda Davis) Thanks!! And I'm following your Gossip blog, too! Tristan would like the VSmile. I would like to try the Mobigo. I really like the Bugsby Reading System- Pen and Starter Book Bundle, as well. Another Vtech product we would love to have is the MobiGo Touch Learning System. Thank you for the terrific give-away.